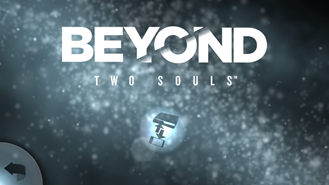 Use the BEYOND Touch™ app to control your BEYOND: Two Souls™ game on PlayStation®3 system. The app can be used on Android™ devices to replace your wireless controller. All you’ll need is for your PlayStation®3 system to be on the same WiFi network as your Android™ device and you’ll be ready to play the game with touch controls. Please note: This app acts only as a controller. 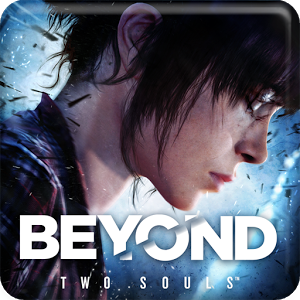 In order to play the BEYOND: Two Souls™ game, you will need a PlayStation®3 system and the game, purchased separately at any participating retailer. • Play the adventure in Solo mode, or in Duo mode with a friend using your preferred device. From the visionary mind of David Cage, director of the award-winning Heavy Rain™ game, comes the most powerfully emotional experience on the PlayStation®3 system. A singularly unique, psychological action thriller featuring ELLEN PAGE and WILLEM DAFOE, the BEYOND: Two Souls™ game takes you on emotional journey through the remarkable life of Jodie Holmes. • Dive into a gripping and unpredictable, psychological action thriller starring ACADEMY AWARD® nominated actors. • Experience cutting-edge technology from Quantic Dream in one of the best-looking games ever seen on the PlayStation®3 system. With the BEYOND Touch™ application, experience this unique adventure playing with your Android™ device. French, English, German, Italian, Spanish, Dutch, Portuguese, Swedish, Danish, Norwegian, Finnish, Russian, Polish, Japanese, Korean, Chinese, Greek, Czech, Hungarian, Croatian, Turkish.